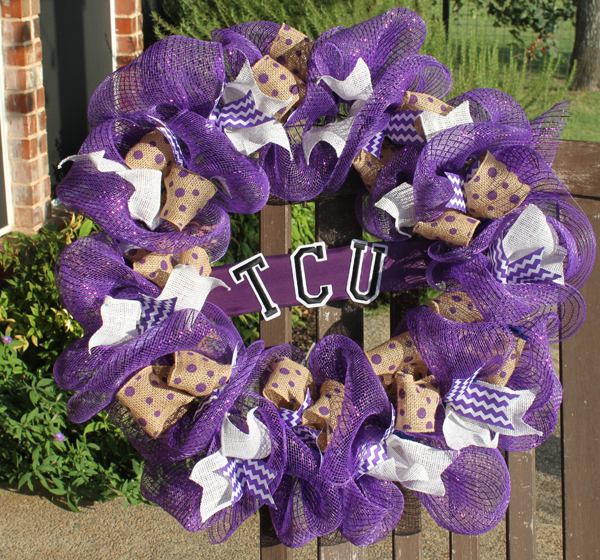 College football season is upon us and it's time to show some school spirit! 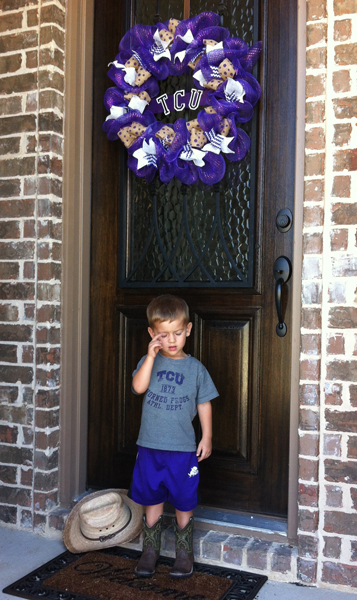 My grandson was not really sure why this wreath was suddenly hanging on their front door, but his daddy was thrilled. 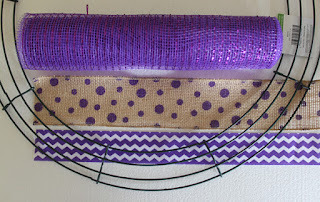 There are so many instructions available on how to create a DecoMesh wreath, I won't go into detail here, but to make this wreath I first wove the deco mesh back and forth thru the two, center wire rings then added wired burlap bows between the loops and secured each one with a chenille stem. I cut 6" to 8" strips of the patterned ribbon, scrunched and wrapped with a chenille stem at the center, then added those throughout the wreath. Finally I added some white burlap strips just because I had some on hand. To add the TCU varsity letters to the center, I cut a strip of adhesive foam board. 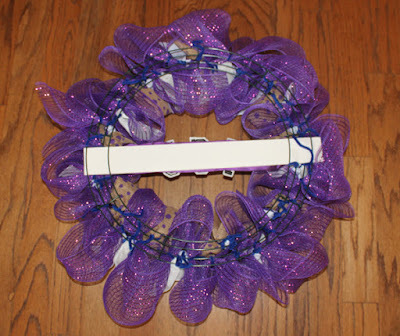 Measure your wreath to determine length and measure the ribbon to determine the width. With the adhesive side facing the front, insert the ends under the outer and inner wire rings at the back. Remove the cover to expose the adhesive then cover with a strip of ribbon. Remove the backing from your letters then adhere to the center as shown. Voilà, you are now ready to get your spirit on! 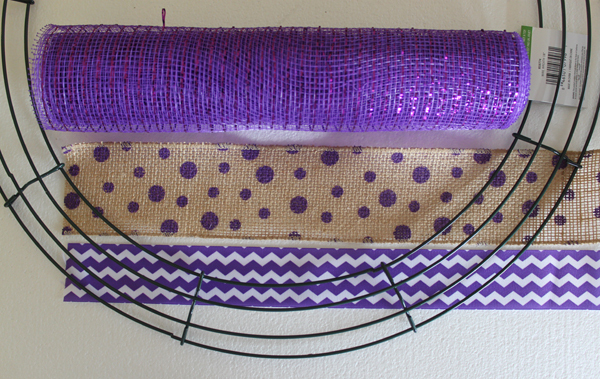 There are so many other things you can make to decorate not just your home, but a school dorm room, too! This pillow form was covered in Oly*Fun fabric, which is perfect for outdoors, then I decorated it with a team cheer. You can also create banners or pennants using felt shapes in your school colors. You can find JOY Iron-On letters and numbers and all your favorite crafting supplies at your local Hobby Lobby and Michaels craft stores! I created this fun little witch hat to adorn one of my pumpkins for Halloween! 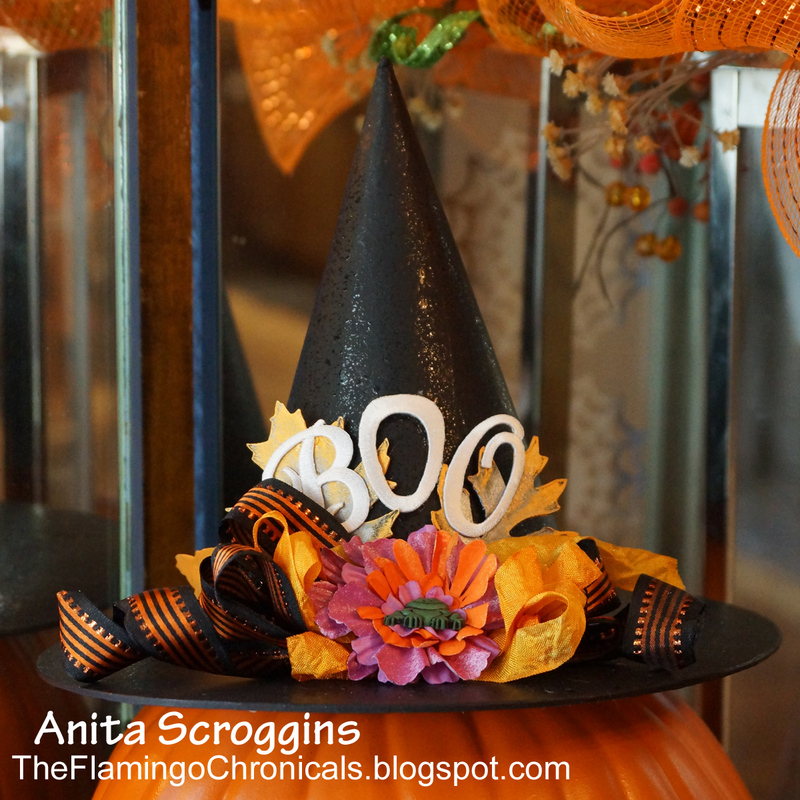 Paint the witch hat black and the leaves with a blend of green and tan; set aside to dry. Make bows from the ribbons and glue to the front of the hat. Curl the tails of each bow. Layer and glue the flowers together with a button, then glue to the center of the bow arrangement. Tuck and glue the leaves behind the bow as shown. Glue the letters on the front of the hat. Mist the entire project with glimmer spray. 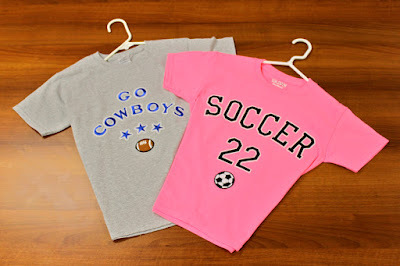 What kind of sports do your kids like? Help your little athletes show off their favorites with a custom tee shirt. Go team! 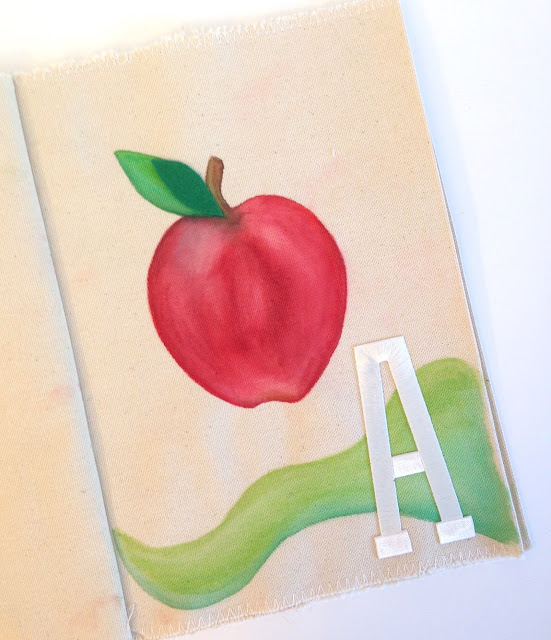 A handmade book of ABCs makes a cherished gift for a baby that's sure to become a keepsake. These large, block-style embroidered iron-on letters from Joy seemed perfect for a handmade children's soft book to learn their ABCs. They are soft to the touch, raised off the page, but still securely attached - perfect for little fingers. I had fun drawing images with my watercolor pencils on raw duck canvas that was already stitched into pages with a spine. 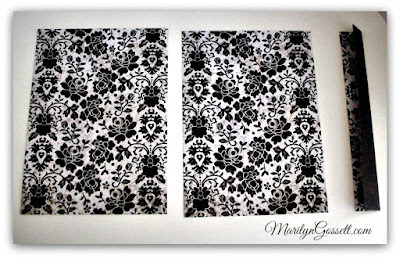 You could also work with individually trimmed sheets of canvas or heavy cotton, then sew them together with a single straight stitch by hand or machine. If 26 pages (one for each letter) is too thick, break it down into a set of 4 books instead. If drawing and painting is not your thing, cut shapes from fabric or felt to represent a basic noun for each letter and glue or stitch them on to the page. Create this easy banner to welcome friends and the fall season! 1. Paint the dowel and spools. Set aside to dry. 3. Cut a 20" length of burlap ribbon. Fold over the top edge to create a sleeve for the dowel. Glue or sew in place then slide the dowel into the opening. Glue a wood spool to each end of the dowel. 4. I used red embroidery letters on a white backing. If desired, color the backing around embroidered letters with a marker. I used yellow, gold and orange. Brush over the ink with water to blend the colors and create a watercolor effect. Follow the package instructions to iron the letters to the burlap. 5. Glue the felt leaves to the banner then create a fringe at the bottom edge by pulling away strands of burlap. Tie a string to each end of the dowel for a hanger. 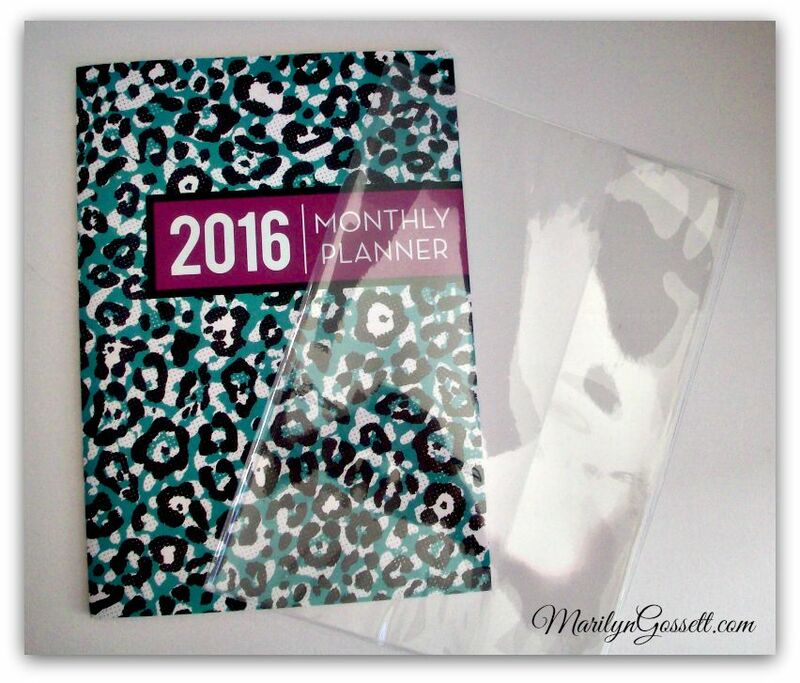 Do you live by your calendar and daily planner? I do! Being inspired by a friend's kind gift; I found an inexpensive planner in the school supply aisles at the Dollar Tree. 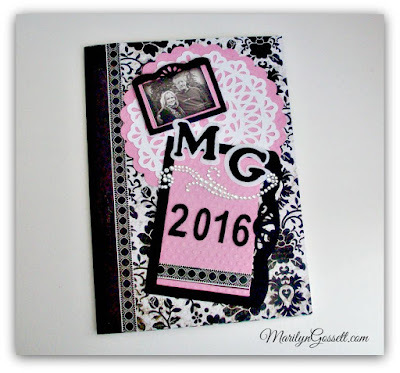 I brought it home and altered in my studio colors and it is all ready to go for 2016. Here is what you will need to alter one of your own, to make a gift that someone will appreciate. 1. Gather supplies and remove the plastic jacket from the monthly planner. 2. 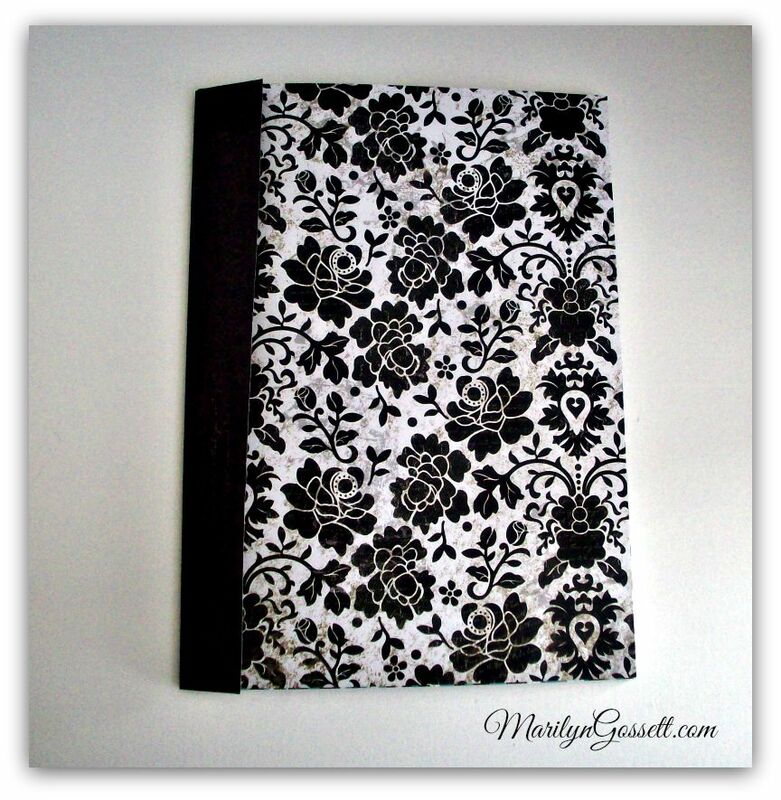 Measure height and width of the planner, then cut out a front, a back and a spine from your cardstock. 3. Adhere to the day planner as shown in the photo below. 4. Now comes the fun part. Embellish the front of the book with die-cuts, embossed papers, rhinestones and the JOY letters. I further embellished the cover with a family photo. This is another opportunity to make it personal. 5. Place a dry pressing cloth over the letters and numbers and use an iron on moderate heat to position the embroidered letters and numbers permanently. I recommend reading the manufacturer's instructions before application. 6. Once you have attached everything and are happy with the cover; carefully tuck it back into the plastic jacket. Papers need to be trimmed to exact measurements of the book or it will not fit back in the jacket. Here it is, back in the jacket. 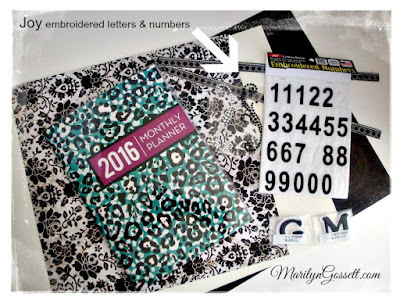 This will protect all of the beautiful embellishments you have put on your calendar! Ready for 2016! Well, my planner is ready. MY plan is to enjoy what is remaining of this year and move on to the next inspired project! Cheers! Who loves school spirit? Me!! I made this school spirit banner using Joy embroidered letters. It's super simple to make - you can make several for your kids and their friends to use at rallies, on the field or at the dance. To cut each triangle pennant, I split a sheet of 12" x 12" paper into three 4" sections and cut the triangles out, trimmed them down a bit and then placed them on top of a contrasting color of card stock - using our school colors, of course! I trimmed the outer triangles about a 1/4" larger than the inside triangles. Use a marker to ink the edges of your paper so the white core does not show. Tape each pennant along a ribbon to string into a banner, then glue a decorative ribbon across the top in front, if desired. Instead of trying to iron the letters to paper, I used craft glue to attach them. These white embroidered letters have a terrific varsity team look - and you can ink or dye them another color if you want to. Now we're ready to chant and cheer - big "G" little "o" - Go! Go! 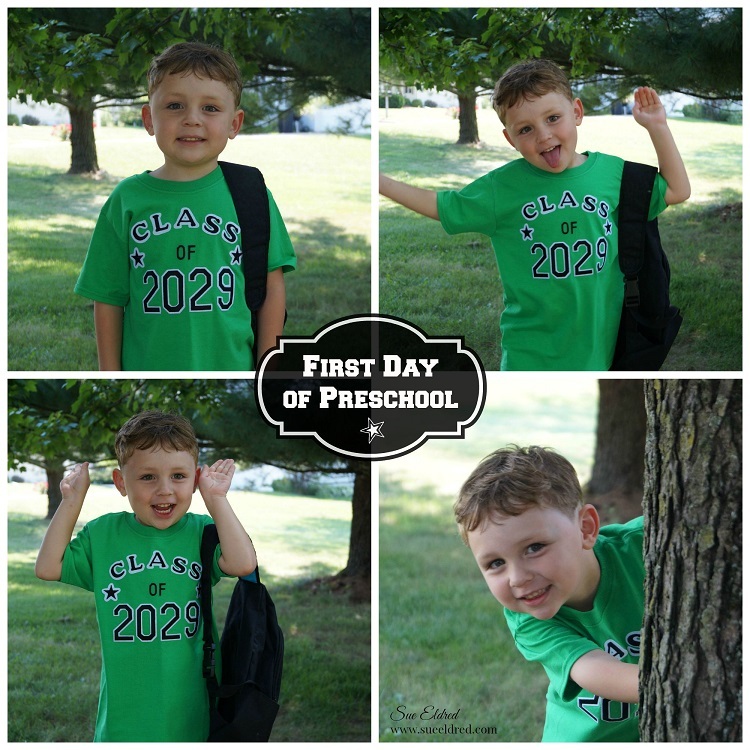 Because starting pre-school is a really big deal…I wanted to make my grandson, Nick, a special shirt to wear on the first day. At first, I had all kinds of silly and corny ideas, but in the end I thought maybe I should make a tee shirt he’d actually wear more than once. 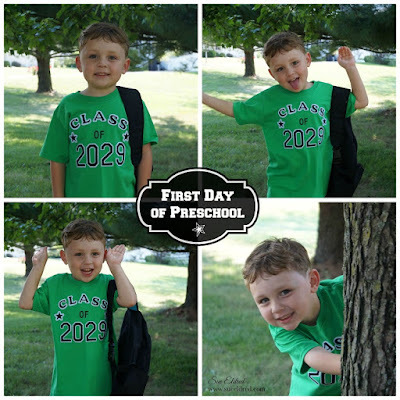 Thanks to some Pinterest Inspiration (good ol' Pinterest), I came up with Class of 2029. Sounds kind of futuristic doesn’t it? 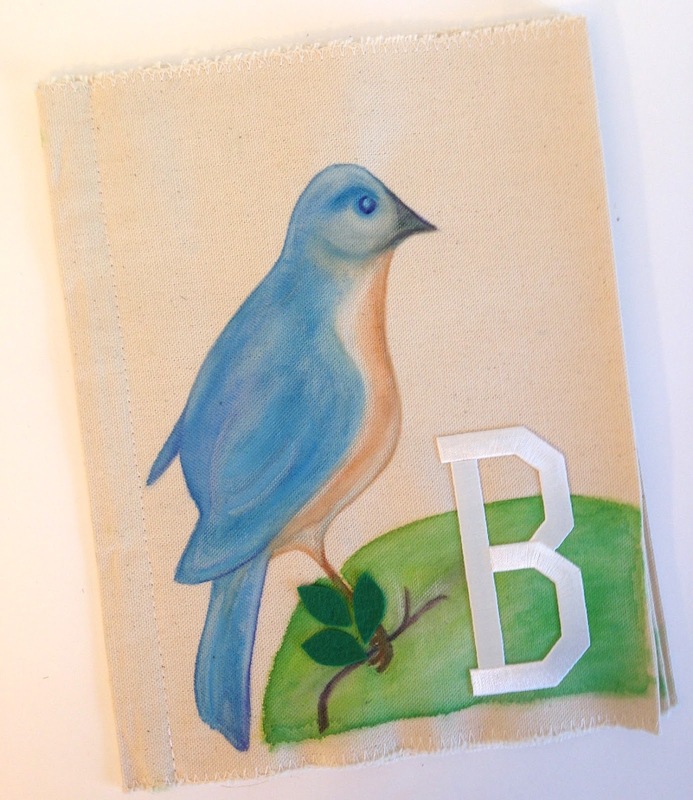 Signs and banners - so many ways to turn embroidered iron-on letters into mantras and meaningful memorabilia. 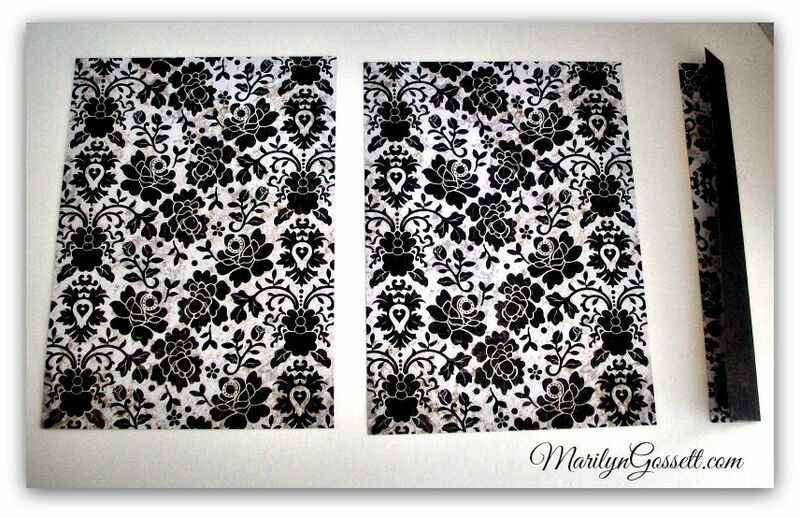 Your university letters on a banner make great dorm room or college party décor. 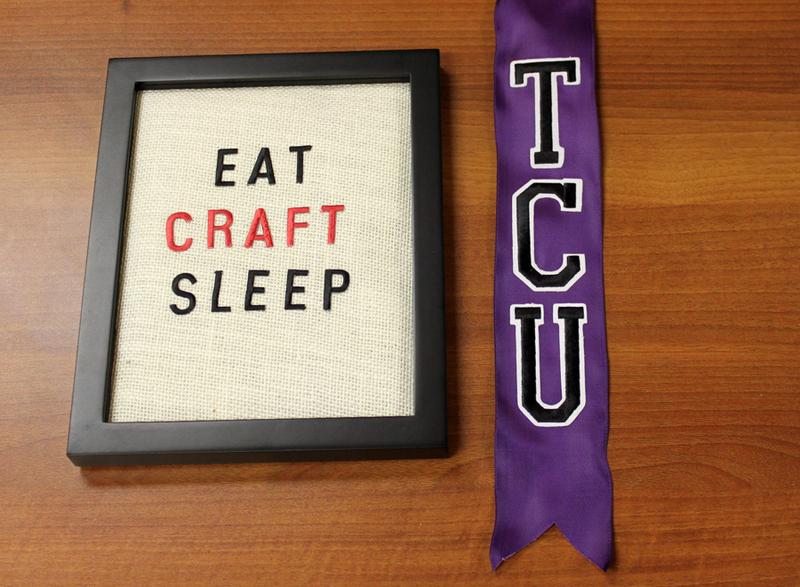 And of course, every crafter knows what the three most important things in life are...right? Fall and back-to-school time usually means people are getting ready for football games and tailgating. Not me! 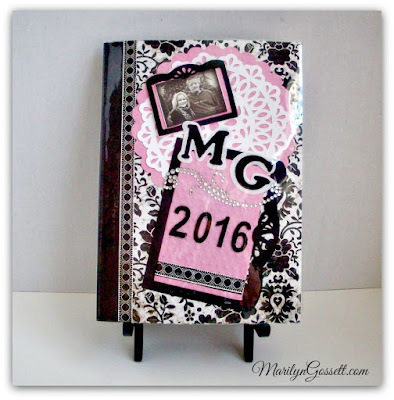 I start thinking about all those fun scrapbook events I go to in the fall! If you are a scrapper like me, chances are you have gone to a crop and there are several people with the same bag that you have. I have a really nice black canvas bag that I got several years ago at a scrapbook store. It's great for crops or shopping, but it looks just like everyone else's bag. Not anymore with the embroidered letters from JOY! I love these letters because you can just peel off the backing, stick them in place then iron them on to stay permanently. The varsity-style lettering makes your project look sporty and you can use them to spell out words, initials, or your favorite team's name. 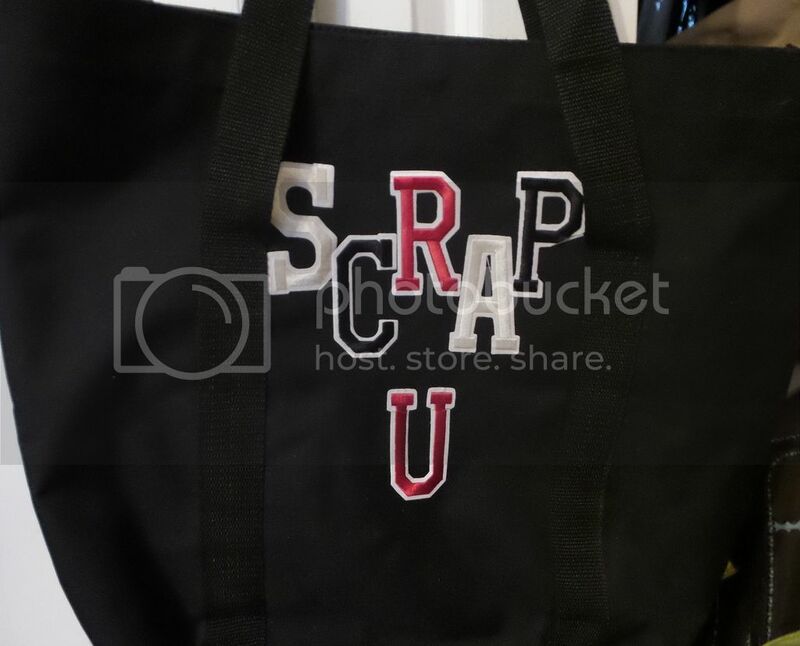 And now I can say that I went to my favorite school - SCRAP U! I'll bet no one else has a bag like mine at the next crop!